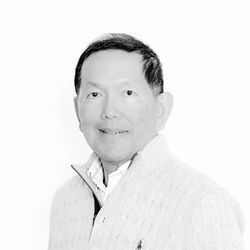 Pristine. Plentiful. Unbeatable. 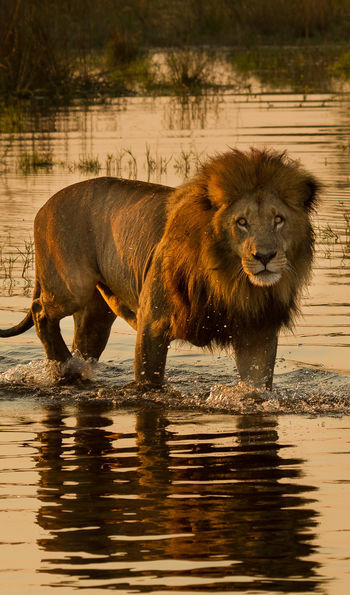 Botswana offers the most incredible close-up wildlife encounters. To safari in this bountiful corner of Africa is to venture into an unchecked natural world that casts life into the driest and most unforgiving of deserts. Delight in secluded delta enclaves, relax in sumptuous lodges deep within national parks, or observe reeds rustling with wildlife on softly-gliding river cruises. 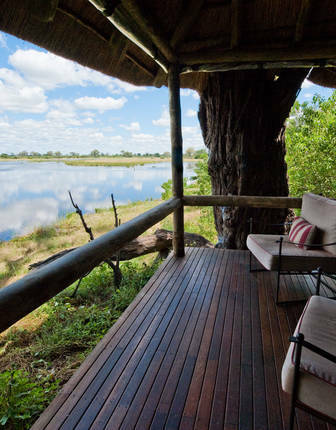 Exemplifying the high-yield, low-impact tourism model, Botswana’s roadless, unrestricted, sparsely-populated plains have cultivated some of Africa’s most memorable safari experiences, along with the development of indulgent lodges. 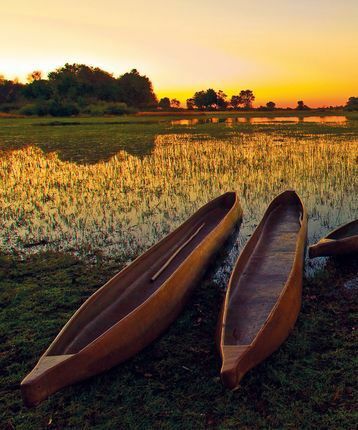 The lush Okavango Delta – ‘the river that never finds the sea’ – flows from the fertile north of the country into the fierce Kalahari. 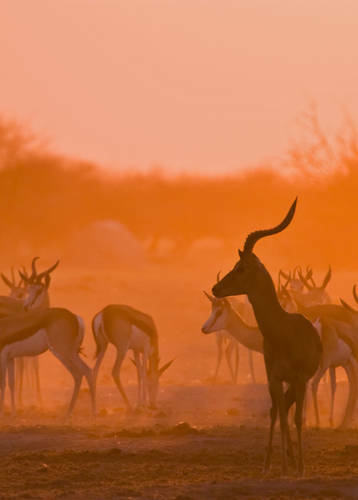 It’s this miraculous body of water that supports Botswana’s staggering population of game, roaming completely unchecked and unhurried by human development: witness zebra gallop through sapphire waters, and spiral-horned kudu spar in a flash of dust; watch elephants forge paths through golden grasslands, and lions hunker low awaiting unsuspecting herds of gazelle. In vibrant lagoons, see startling contrasts of savannah and wetlands, enjoy silently exhilarating bush walks, and have the chance to navigate the green labyrinth of waterways in a traditional mokoro canoe. Drive into the shimmering nothingness of the Makgadikgadi or Nxai salt pans where the curvature of the earth is pierced by mysterious islands guarded by thick-trunked baobabs that have stood there for millennia. Come the rainy season, these flat lands transform into a watery paradise for, among others, migrating flamingoes, pink-backed pelicans and saddle-billed storks. 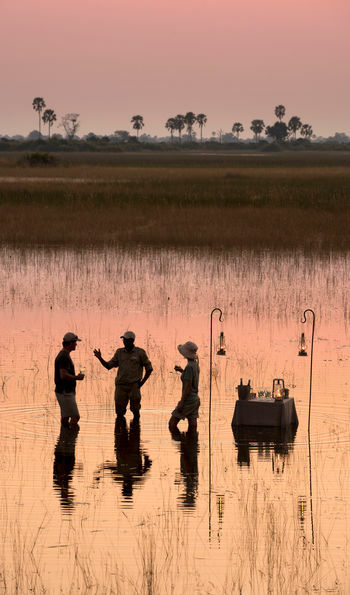 Wake to the Linyanti Reserve’s colourful dawn chorus, which announces the splashing arrival of enormous elephant herds, while further south the papyrus-lined waterways of Botswana’s most ecologically diverse area – Chobe National Park – are awash with crocodiles, hippos and buffalos. At night, brilliant stars illuminate the unending space of the Kalahari which, by day, is one of Botswana’s most adventurous and isolated safari destinations; fossil river valleys, acacia-spotted grasslands and dunes are home to remarkable desert-adapted game and its black maned lion predator. 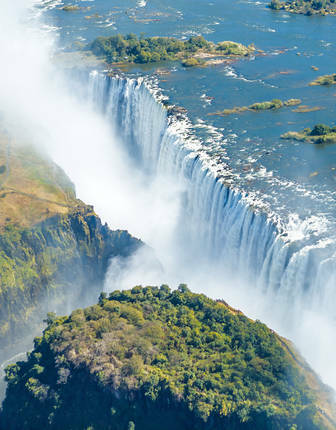 Just a stone’s throw outside Botswana’s northern border, the mighty, nearby Victoria Falls spills the Zambezi’s torrents into the zig-zagging canyon below – an indelible reminder that the real luxury is the sheer wealth of natural beauty you can find on tailor-made holidays to Botswana. Spend your days tracking the prolific wildlife of Chobe National Park on a 4x4 safari led by talented guides. Elsewhere, opt for a quad bike to speed across the Makgadikgadi Salt Pans or, for a different vantage point, follow the grazing game in a hot air balloon or private helicopter. 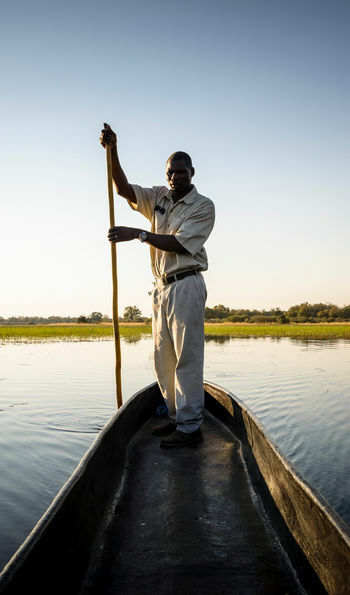 For a change of pace drift through the mazy waterways of the Okavango in a traditional mokoro dugout. Learn how to capture the perfect pictures of the country’s famed black-maned lions with a professional photographer, feel your adrenaline flowing as you follow a fast-moving pack of wild dogs as they hunt and thrill to the sound of trumpeting elephants as you enjoy a bush brunch. To gain an insight into the country’s history and culture, explore river valleys filled with fossils, walk with the ancient San Bushmen, hunting and gathering, then witness a wild trance dance performed around the fire under the stars. Exhausted, fall asleep in a luxury tented camp, tingling with excitement as a lion coughs in the dark just beyond your canvas wall. Indulge yourself by spending a night in a specially-built grown-up treehouse above a watering hole or spoil yourself with a luxurious night in a sky bed among the ancient baobabs of Kubu Island. 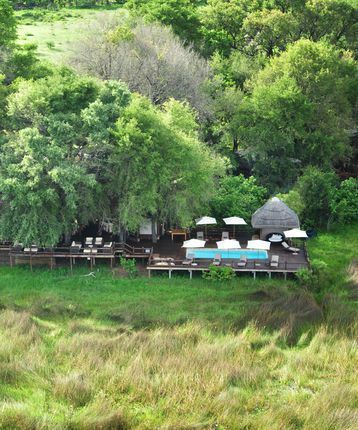 Sleep in some of Africa’s finest luxury private safari lodges in the Okavango, stay in a private concession at Sanctuary Baines Camp, bed down on an island at Chief’s Camp in the neighbouring Moremi Game Reserve or pitch up at a private tented encampment such as Jack’s Camp in the Kalahari. If you want to immerse yourself in the bush ask us about staying in a mobile camp. Or, for an exceptional and unusual night’s sleep, see about staying in a treehouse or ask about where you can fall asleep on a sky bed beneath the vast starscape above. 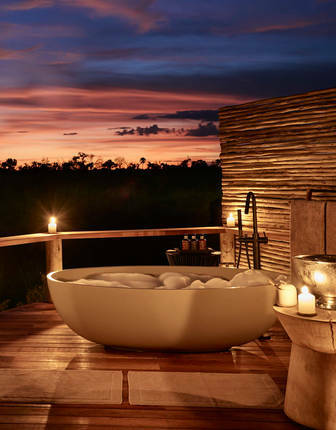 Star baths and sky beds feature in a luxury, romantic resort specialising in exciting game walks and thrilling nocturnal drives accompanied by skilled guides. 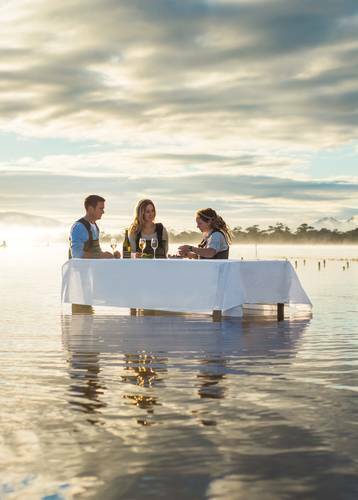 Personal service and exceptional game viewing. The huge rooms feature outdoor lounges for al fresco bathing under the stars and gorgeous plunge pools. 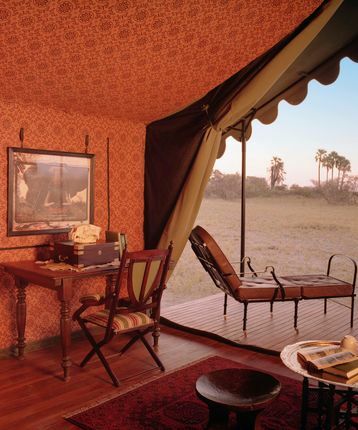 Old-safari glamour in a camp filled with fascinating artefacts with unique safari expeditions, creating an authentic desert experience that is hard to beat. From June to October, the waterways of the Okavango Delta and Chobe River are at their peak – the sun is high and the game is rich. This is the best time to see wildlife as both predators and game head to the remaining waterholes to drink. Travel from November to February though for greener savannahs that attract the biggest herds. Just be prepared for the odd shower. Between February and March, the birdwatching is excellent although much of the other wildlife is obscured by the long grass. Some country roads are also muddy and, on occasion, impassable.